Childhood Asthma is a common condition in which the small air passages in the lungs become very narrow. (RCH guideline). This narrowing is caused by inflammation (swelling and redness), which makes it harder for air to get into and out of the lungs. The most common symptoms of asthma are cough and wheezing. We use medicines that need to be breathed into the lungs to help kids breathe more easily and to help prevent a severe asthma attack. 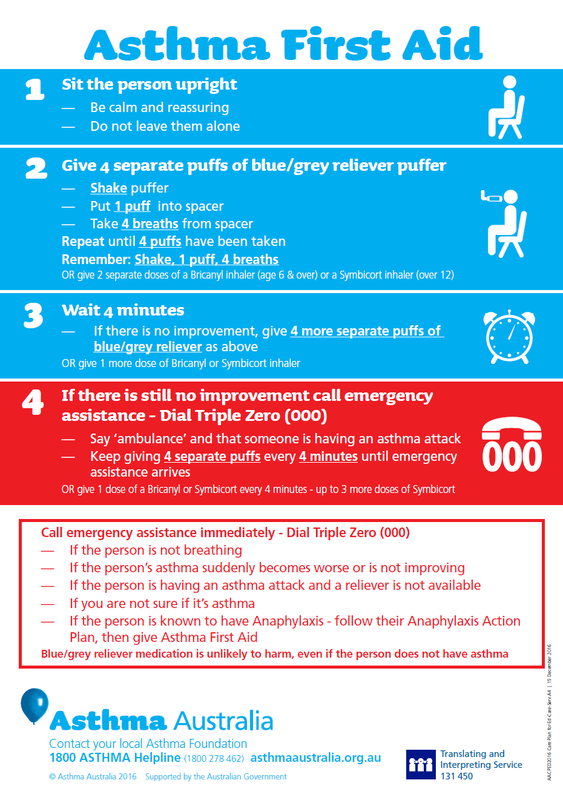 If you or someone else has severe symptoms of asthma, call triple zero (000) or go straight to a hospital to seek immediate help. As with any medical condition, it’s most important that we keep taking the medicine. With the mayhem of normal school drop off and lunches, after-school swimming and ballet, it’s easy for the little blue puffer to be left in the draw at home. However, it’s important to remember that asthma can be very serious if left untreated. GP’s can help! One of the most common reasons that asthma medication isn’t working, is that we aren’t using it! Incorrectly using the puffer is another really common cause of poor symptom control. Your local GP and practice nurse can go over it with you even if you have been an asthmatic for a long time. It’s also a great idea to teach anyone who might care for your kids too – which always helps our little people feel empowered to manage themselves. Asthma medicine is divided up into medicines that relieve symptoms straight away, and those that stop future problems from happening. They’re called ‘preventers’ and ‘relievers’. 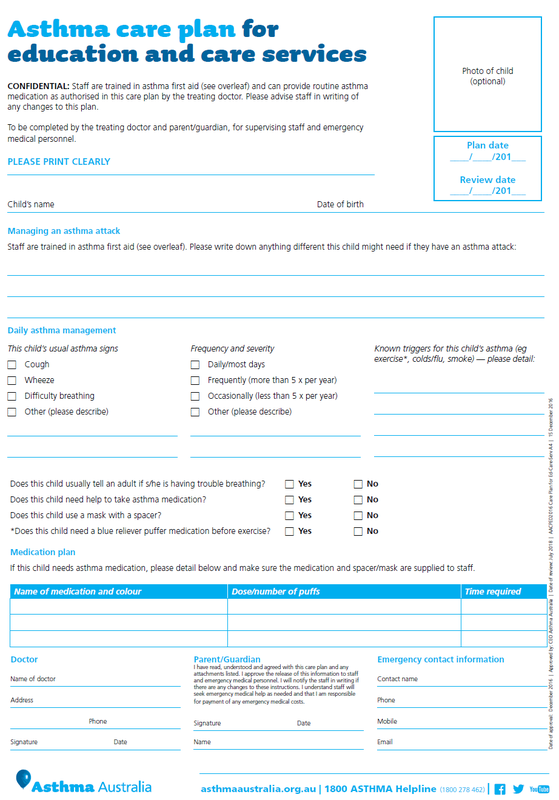 Asthma action plans can come in a variety of shapes and forms, but there is one developed specifically for schools! Of course, there is also an app for that. The Asthma buddy is endorsed by the National Asthma Council Australia and can store your asthma action plan for when you are out and about. You can record medicines, breathing test results and even email a copy of your plan to yourself or your doctor. It has access to ‘how to’ videos and teaches good inhaler technique. – where is the puffer? – that our kids know how and when to use their inhalers. For any questions or advice – see us at Suncoast Christian Health Centre in Buderim!